I love a simple basic with a twist. What’s more, I love finding a simple basic with a twist on the clearance rail. Way back in rainy May, this simple white sun dress was languishing on the sale rail at my nearest TK Maxx for the meagre price of £12. Embroidered with a skull pattern, it was a simple twist on the classic broderie anglaise floral style. It seemed perfect for warm days, even though I expected to wear it abroad. When we were invited to a barbecue, it seemed the perfect dress to wear. 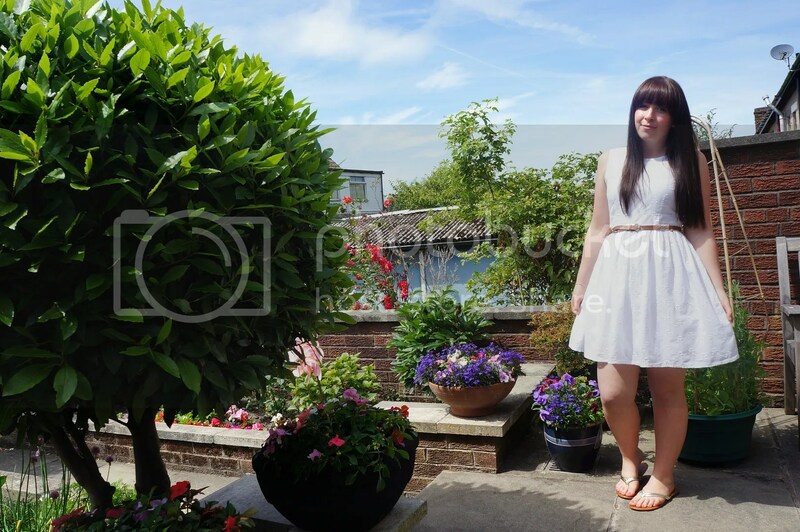 In Britain, I’ve always shied away from wearing white with my pale skin, but a dress with tags on is a tempting thing. This could possibly be the cheapest outfit in my wardrobe. My tan woven belt is Primark and cost £1, my sandals were gifted to me by my mum and my bracelet came free with my perfume! 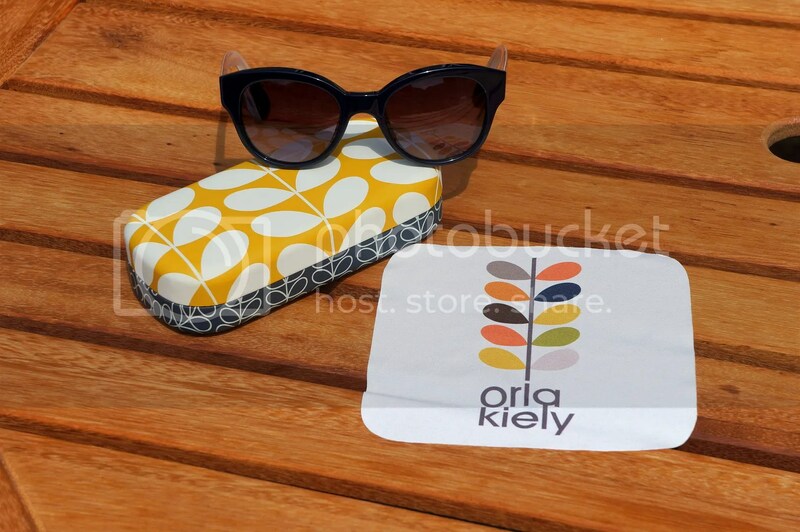 As luck would have it, this was the weekend that I decided to splurge and purchase the Orla Kiely sunglasses I’d been eyeing up for weeks. Usually, I will buy fashion sunglasses from Primark or H&M… I rarely spend over £10 on glasses. However, my late twenties are catching up with me and I’ve decided that it’s now time to invest in a sensible pair and protect my eyes. Enter these beauties. Who said sensible couldn’t be stylish? 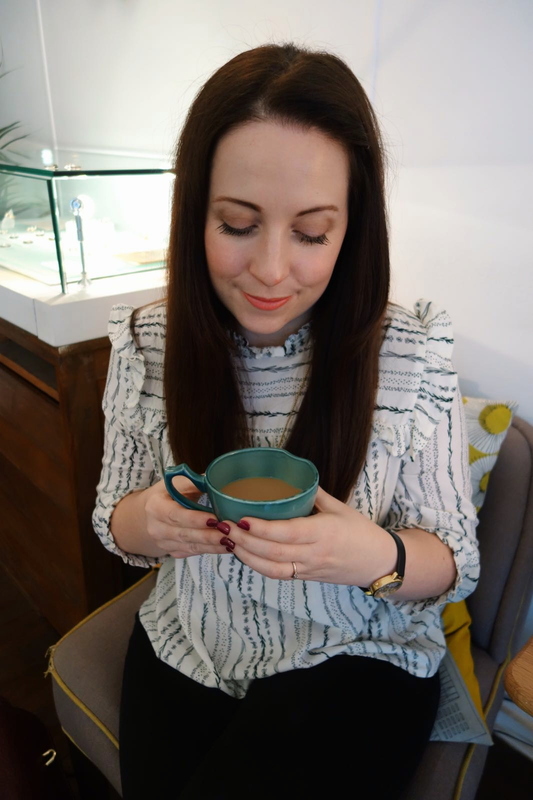 I am a huge Orla fan (go see my latest Orla love here) and when these glasses were reduced to half price in the Boots sale, I decided to take the plunge and purchase. The shape is perfect for my pea sized head. I don’t get the bug eyed look, which doesn’t suit me a jot! They feel a little mod, whilst still maintaining a modern look. Today, I’m teaming up Rachel of Rachel The Hat and Lena B for their Passion for Fashion link up. Why not head on over? Do you like basics with a twist? Do you believe in expensive sunglasses? What’s in your basic summer wardrobe? Orla Kiely for Clarks :: They’re Here!